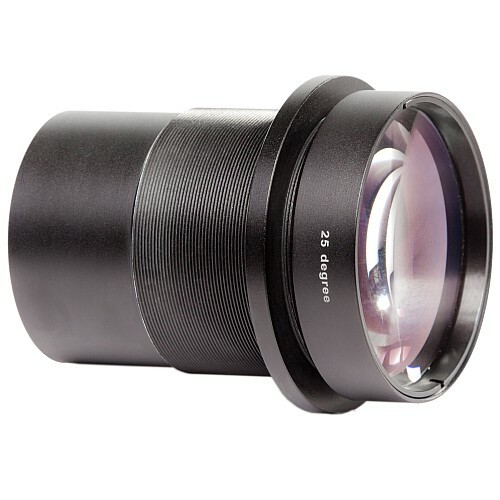 ECO Spot f=56mm, 40 degree, Wide Projection Lens with 65mm lens diameter. Please Note: This lens loses brightness towards the outer areas of the projection. 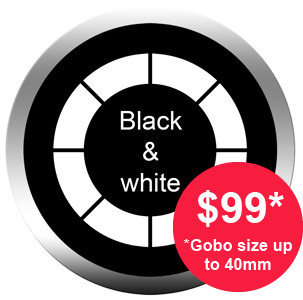 For a more even light distribution, stay within 42mm Gobo Image Size.